We all pretty much understand what an organization like the Rocky Mountain Great Dane Rescue, Inc. does for the beautiful animals that come into our care, but do you know how your donation breaks down for the specifics? RMGDRI provides food, adequate shelter through our foster program, veterinary care in instances like Tulip and Roxie, as well as outreach, education, training, and myriad other services that are not cheap to perform. And we do it because we know that Danes are the kindest, gentlest, most loving animals ever to grace our lives. We rescue from kill shelters, impound shelters, puppy mills, and we transport the Danes to various locations around our state and around the country. We work collaboratively with other rescues to insure the safety and well-being of Danes is provided every. Single. Day. Our leaders and our volunteers are relentless and tireless in doing right by these amazing creatures. And it’s sometimes a thankless endeavor. But we wouldn’t do it any differently. Because we know. We know what tremendous love does for Danes and for all animals, and we vow to rescue every one we possibly can. Our generous donors, sponsors and volunteers allow us to continue on our Herculean mission. $10 donations help provide blankets and other comfy, warm things to keep the Danes warm. $25 donations help purchase supplies used in every day rescue efforts. Some supplies are donated by friendly business owners, but the bulk comes from your generosity. $50 donations buys assorted, Dane-friendly toys to keep our friends happy and healthy. $100 allows us to microchip our Danes for their protection. $1,000 can help repair a broken leg or fix other painful injuries and mishaps. $5,000 helps treat or heal various infections, chronic illnesses, and also allows us to let unadoptable Danes live out their lives rather than euthanize. $10,000 vaccinates every Dane that comes through the rescue and gets them ready for their new forever homes. Your donation helps provide protection against diseases like rabies, parvo, distemper, and more. $50,000 spays and neuters the Danes, which is not only the law, but the right thing to do to curb animal overpopulation on our planet. RMGDRI offers so many convenient ways to donate too! Become a volunteer and assist us in raising the funds needed to continue our mission. Foster a Dane! It fulfilling, rewarding, and allows a Dane to have a loving home while in transition. And we don’t really mind when a foster parent falls in love with their foster dog and decides to adopt for themselves. Purchase gifts, like t-shirts, calendars, wines, and other items found on our site. Use the IGive button available for your tablet or mobile phone. Just shop at any of the 1,500 + online partner stores (Best Buy, Amazon, and Petco to name a few!) and you will be help to support the Danes of RMGDRI for FREE. The average online retailer donates from .5% up to 20% of your purchase price to RMGDRI. All you need to do is download the iGive button onto your computer or mobile device and shop at your favorite online stores. A typical shopper raises $100 per year for our charity. Take part in the Pour It Forward Movement. The Pour it Forward Movement is all about saving dogs’ lives while enjoying and sharing fine wine. With every bottle purchased RMGDRI receives $1.00. Be sure to use code “CORMGDR”. Spread the word by gifting or serving this award winning wine to your family, friends or business associates and encouraging them to do the same. Participate in WoofTrax. 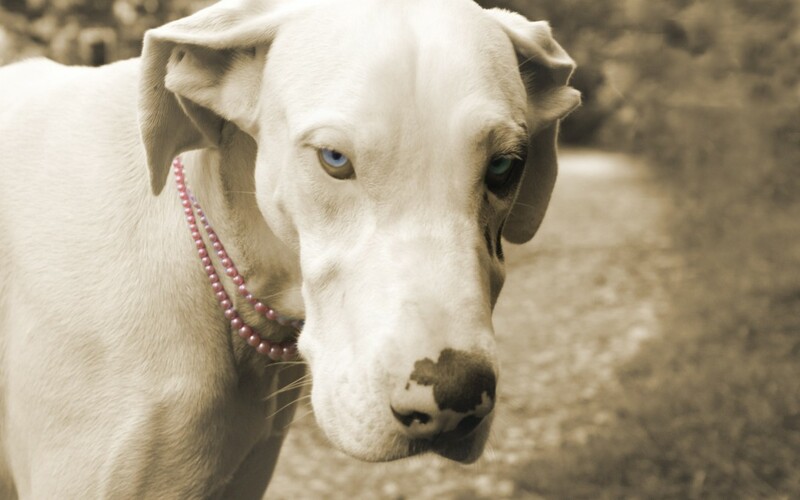 Support Rocky Mountain Great Dane Rescue Inc. simply by walking your dog. Use the WoofTrax app each time you grab for the leash. It’s healthy for you, your dog, and our Rescue. RMGDRI receives $$ for every mile. Just start the app and go for a walk. It is that easy. Use the new Rocky Mountain Great Dane Rescue Visa® Platinum Rewards Card. When you apply for and use your card, the bank will donate $50 and a percentage of all your future purchases on the card to Rocky Mountain Great Dane Rescue! All the benefits of a Platinum Visa® Rewards Card will be yours, along with the satisfaction of showing your support of Rocky Mountain Great Dane Rescue’s mission every time you use your card. We appreciate your assistance, however you choose to provide it!